When I give folks from outside Bournemouth directions to our house I'll often say ‘Approach Bournemouth on the 338, then turn right onto the 3060 signposted Wimborne. If you get as far as Pizza Hut, you've gone too far. Pizza Hut is the sign you've gone wrong.' This text (said I) is the Pizza Hut on the road to hell! For while some otherwise good commentators (Wiersbe, for example) miss the point of this passage by arguing it's not about salvation at all, the real meaning is just this: if being forgiven hasn't changed your nature so that you are a forgiving person, then you've not been forgiven at all. No comment necessary - the greatest of all sit-coms ever. Blogging is a bit hit-and-miss, for which I apologise to my faithful reader. The truth is, the older I get the busier I become. Some of you will know that, for years now, I’ve been working on a DMin from WEST. 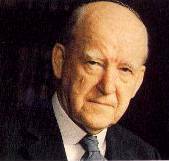 The research and dissertation is on the evangelistic preaching of Lloyd-Jones, focussing on his long ‘Acts’ series. Sometimes it seems I’ve been working on it longer than he was preaching it! The deadline is September 2014. But if I leave it much longer, I’ll miss it. I’ve determined that I should finish my first draft, at least, this year. That was my intention anyway; but yesterday I discovered that supervision arrangements are likely to change at the end of this year – which adds a definite ‘frisson’ to the target. So, I’ve just begun a two-week ‘push’. Part of the problem with a piece of work this size, running alongside a demanding pastorate, is that every time I come back to it I’m in danger of having forgotten where I was. From now until my just-after-Easter break, then, I’ve determined to work on it each day, rising an hour earlier and doing at least an hour and a half each day, in addition to my (supposedly usual) Thursday study. And I’m not taking on anything else, other than my usual preaching, unless specifically asked and/or it’s urgent. It’s only two weeks; I should be able to manage that. And I think that I can make real progress in that time. I’m not giving up blogging, I hope. But it may be brief, and intermittent. In the meantime, watch out for my two articles in ‘Banner’ magazine (first one in the May issue) on evangelistic preaching – in general, that is, not Lloyd-Jones’. 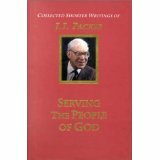 As you will know, one of the books I'm reading this year is Packer's "Serving the People of God." Packer's a great hero of mine, though I've only got to page 63 of this in nearly three months! Christ is really present with us according to his promise whenever two or three meet together in his name to do something that he told us to get together and do. He's right there, isn't he? The Lord's Supper, of course, stands at the head of those activities. But he's wrong there - do you agree? I’m troubled by this book. I’ve had it on my shelves for a blog review for months now, but it troubles me and I’ve kept putting it off. 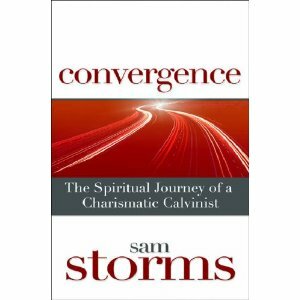 The problem is this: though Sam Storms is a friend of, and much respected by, John Piper and Wayne Grudem and others of similar pedigree – I just don’t believe the book. The book is a plea for the uniting of charismatic phenomena (tongues, prophecy and the like) and Reformed doctrine. In that its focus is on phenomena, not ‘merely’ a deeper experience of God’s love, it is several stages beyond the arguments of Lloyd-Jones, and should not be confused with them. Let me highlight three things that to me are major problems. First, he tells us that he has lied in print. 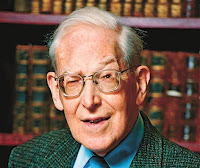 He went into print several years earlier arguing for a cessationist position when he not only did not believe that the gifts had ceased but actually was, himself, a tongue-speaker (at the time, suppressing the gift). If by his own admission he’s lied in such a way, why should we believe him now? Then – second - there’s the type of prophecy he describes. A dream that a window in their yard would be broken by a foul ball in a baseball game. And – wow! – baseball had never been played in that yard. But sure enough, some visitors to the home, knowing nothing about the dream, played base-ball in the yard and broke a window. Sure proof that God is at work? Not really; the Bible gives four clear marks that God is at work and this isn't one of them. (Jonathan Edwards unpacks them helpfully and at length in ‘Distinguishing Marks.’ Storm professes to be an Edwards fan - he must have read it.) But this kind of thing – if it happened – is on a level with psychic claims in all religions and none. Why would Almighty God give a dream about a window? Is there anything like this in the Bible? And then – third - there’s his demonology – more ‘Buffy’ than Scripture. A demon sat in their lounge wrapped in a scarf and beckoning their daughter to come to him; a ‘force’ which Storms himself compares to ‘Star Wars’: ‘a “wall” of energy or power or, as I said, what felt like “liquid air”, engulfed me. It actually pushed me backward a step or two.’ A demon-possessed man smelling so badly that Storms asks ‘Do demons have an odor?’ and answers ‘Yes, they do! And it is far from pleasant!’ Is there any of this in Scripture? Some of it is pure spiritism: ‘Does the name “Derek” mean anything special to you?' Oh, wow – again! A God who can make a name pop into your head, but not tell you what it means! Pop down to Waterstones in your lunch-break: you can read any number of mediums making the same claims – and they’re frauds. It’s called cold reading, and easy to learn. Waterstones will also sell you the 'How to' books! And if you want a fourth, there’s his naiveté; he apparently still believes that Paul Cain was an anointed man of God even at the time of his greatest sin and hypocrisy. Really? And the respect for the ‘Kansas City Prophets’? Really? So what do I think of Sam Storms? Is he lying? Exaggerating? Deluded, delusional, spin-doctoring, faulty in his memory, soft in his head, naive beyond belief? Possibly. Some of these things. I don’t know. Just consider: if these things really happen, it’s very kind of the Devil, isn’t it, to make sure they only happen to charismatics? And reason enough, in itself, never to become charismatic! This is one of the most frightening books I’ve ever read. Not because of the spiritual, evil, forces it describes. But because story after story is designed to undermine serious Biblical thought and reflection, and infect the Reformed community with the worst of charismatic claptrap. 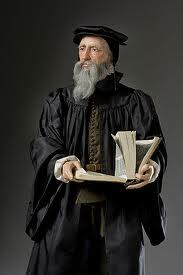 It is a most frightening trajectory, if the Reformed get on to it.